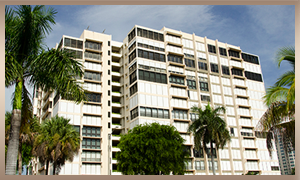 Park Shore high rise living offers an unmatched life style along Naples Gulf Coast. 26 uniquely different high rise buildings make up the serpentine planned design of beach front access high rise living with direct access to the white sand beaches that Naples has become famous for. A one and a quarter mile walking and jogging path meanders along the natural sea oats shore line directly in front of all of the Park Shore high rise buildings. Each building has a beautiful lobby to greet all of its residents and provides world class amenities. 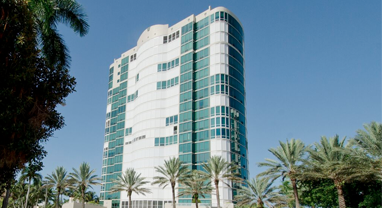 A swimming pool, barbeque area, outdoor lounging and or cabanas, gathering and party rooms, private guest suites, billiard room, library and managers office are typically found in each of the high rise buildings. From North to South the buildings are Le Parc, Meridan, Terraces, Villa Mare, Vistas, The Enclave, Esplanade, Aria, Solamar, Monaco Beach Club, Le Rivage, Park Plaza, Park Shore Towers, Le Jardin, Provence, Regent, La Mer, The Savoy, Allegro, Brittany, Gulfside, Surfsedge, le Ceil Park Tower, Le Ceil Venetian Tower, Casa mar and Horizon House. Prices for Park Shore high rise residence range from $500,000 for an entry level low floor unit to over 13 Million for one of the grand penthouses. The development of the high rise complexes started with the southern most building, Horizon House, in 1972 and continued until the last building was built in the North, Le Parc, in 1990.